How a tea is brewed can make all the difference between an amazing tea experience and an unremarkable one. So here’s our primer on all the things to consider when you sit down to brew your next cup of tea. Brewed tea is 99 percent water, so the water you start with has a lot to do with the final taste of the brewed tea. If your water tastes “off” or has impurities, then your tea will taste the same, no matter how strong you make your brew. Just remember that it’s always best to start your tea experience with fresh, clean water. Filtered or bottled spring water is best; avoid using tap, distilled or mineral water. What type of tea are you planning to brew? Green tea leaves, for example, are more delicate and fresh than black tea leaves, so they can be steeped at a lower temperature and don’t need to be steeped as long. Herbal teas, on the other hand, do not contain the Camellia sinensis tea plant, so they can steep much longer than a true tea without becoming astringent or bitter. Tea generally requires a brewing temperature of anywhere from 160 to 212 degrees, depending on the type of tea. If you don’t have an electric kettle with a temperature control, just remember that at sea level water simmers at 190 degrees and boils at 212 degrees. So you can visually guesstimate the water temperate by paying attention to the bubbles. But remember that the boiling temperature drops about a degree for every 100 feet in altitude increase, so you may need to adjust the further away from sea level you are. If you steep tea for too little time, your tea can be weak and watery. If you over steep your tea, you could risk a mouthful of bitterness and astringency. Taste your tea after the minimum recommended steeping time and then decide if you’d like it to steep a little longer. Remember that these are general brewing guidelines. The best bet for the perfect tea experience is to start by asking your tea vendor for brewing instructions specific to the tea you purchased. Different teas, even if they come from the same type category (green, black, etc. ), can have different ideal brewing temperatures and steeping times. 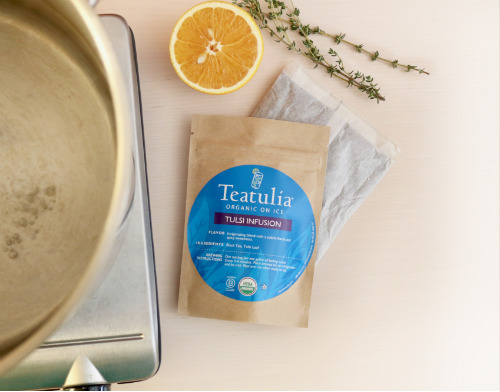 When you examine your collection of Teatulia teas, you’ll notice we provide specific brewing recommendations listed on the packaging for each flavor of tea. Below are some general brewing guidelines for our different categories of tea. You’ll notice we don’t provide a specific water temperature for each tea but rather a visual guideline of what to look for. We know our teas taste great using these steeping guidelines and you won’t have to worry about reaching an exact temperature for each tea. Electric tea kettle: The beauty of this countertop accessory is that it doesn’t require a stove and it automatically shuts off when the water comes to a boil, which is typically very quickly. Some electric kettles have built-in temperature control settings so you can select the exact temperature you’re trying to reach based on the tea you’re steeping. Stovetop tea kettle: This classic tea kettle sits atop a stove burner to boil and typically has a whistle to alert you when the water has come to a full boil. Stovetop saucepan: No kettle? No problem. Simply bringing water to a boil in a saucepan on the stovetop is a perfectly acceptable way to prepare hot water for your cup of tea. Microwave: While this is a very quick way to heat water, it leaves a lot to be desired. A microwave does not heat water evenly and different microwaves have different heat levels, so there is no consistent setting to boil water. Even though bubbles might be showing after a minute or so, it doesn’t mean the water came to a thorough boil. And since there is no way to gauge boiling point in a microwave, it’s also easy to overheat water. Overheated water (above boiling point) looses a lot of oxygen, which can accentuate the impurities in the taste of the water. It can also scorch the tea leaves you’re steeping, leaving an excessively bitter brew. While your fresh water is coming to a boil, start measuring out your tea. How many cups of tea are you making? Are you starting with loose tea leaves that require a brewing tool? Or did your tea come packaged in some sort of tea bag? 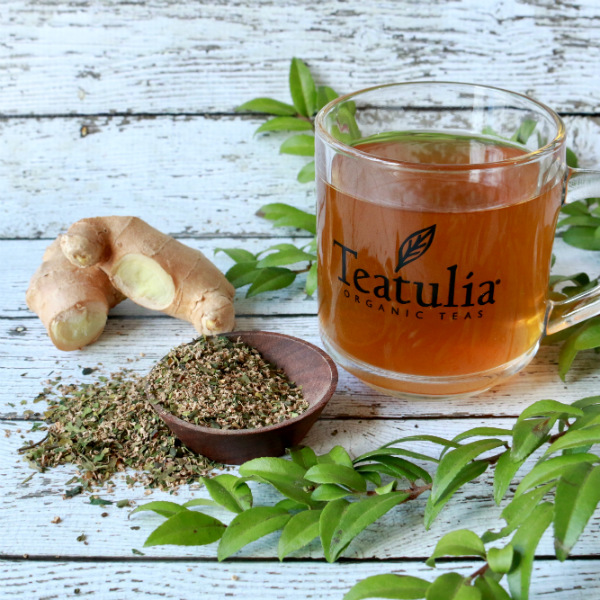 Teatulia’s teas come in both formats and there are advantages to each. Loose leaf tea is tea how it was meant to be. Loose, whole or partially broken tea leaves are allowed to expand and unfurl as they interact with hot water in a steeping vessel that gives them plenty of room to do so, like a teapot or a roomy strainer that sits in a teacup. The result is a brewed tea that yields all of the subtle flavor nuances its grower and producer intended. A single serving of loose leaf tea is typically measured out as 2 grams of loose tea (the size of about a teaspoon) per 8 ounces of hot water (the size of about a typical tea mug). To brew several cups of tea in a large teapot, simply increase the amount of loose leaf tea to match the total ounces of water you’re using. Loose leaf tea can typically be steeped multiple times, so you can get several brewed cups out of the same measurement of tea. Pyramid tea bags were designed to bring the loose leaf tea experience to the convenience of a tea bag. 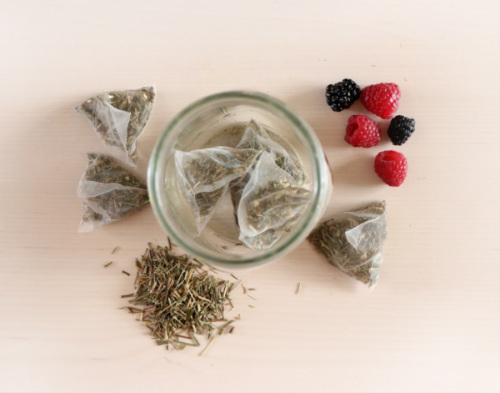 Take out the guess work of brewing loose leaf tea with these pre-portioned tea bags. 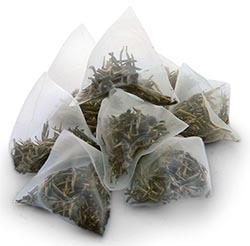 They are tall, roomy bags that fit in a single teacup and give tea leaves plenty of space to move around within the bag and interact with the hot water for full flavor extraction. They can also be steeped multiple times, so you can get several cups of tea out of just one pyramid tea bag. For the ultimate in convenience plus the strong flavor of a full-bodied tea, round paper tea bags are filled with fine-cut tea leaves. 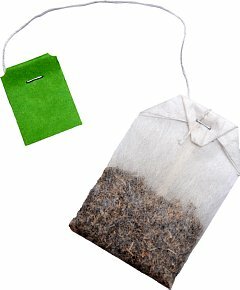 The bags fit the shape of your teacup so the water can easily flow through the bag and infuse the tea leaves, resulting in a brew is fuller-bodied and typically stronger than a pyramid tea bag brew. Each round tea bag is typically steeped just one time. All of our round tea bags are made from compostable non-bleached, non-GMO, chemical free materials. They are also string, staple, and tag free to use less waste. These are the typical tea bags you probably grew up with. They are usually square in shape with a string and a tag and they are typically filled with low-grade, shredded tea leaves and tea dust. They were originally designed for mass production of an inexpensive, one-dimensional strong brewed tea that can stand up to milk and sweetener. Commercial tea bags are typically steeped just one time. You can easily steep your favorite tea bag or loose leaf tea in a teacup. For loose leaf tea, you just need a leaf-containing device, like a stainless steel or bamboo brewing basket or a paper or cloth tea filter. These tools easily sit in your teacup and hold the loose tea leaves. You simply pour the heated water over the contained tea leaves and then remove the device once the proper steeping time is up. Teapots come in almost as many varieties as tea. We like teapots that come with a built-in, removable tea strainer or brewing basket to hold loose leaf tea leaves. That way you can remove the tea leaves from the pot of water after the appropriate steeping time so the tea doesn’t over steep. Be sure and adjust the amount of tea you brew to the size teapot you’re using. Some pots hold just a couple of cups of tea, while others are designed to brew many cups for a crowd. You can also throw several tea bags into a teapot to achieve a multi-cup brew with easy clean up. A nice alternative to the traditional teapot, the French press makes a quick and easy tea brewing tool with very easy clean up. Simply add tea leaves or tea bag(s) to the French press, pour in the hot water and cover with the lid (with filter and screen attached), allow it to steep for the appropriate amount of time, then press the tea to the bottom, just like you would coffee grounds. When using a French press, only brew the amount you plan on sipping right away. The tea you press to the bottom of the container will continue to steep in whatever water remains, which could cause some over steeping and make your remaining tea bitter. It’s also ideal to use a separate French press for tea and coffee. The flavor of coffee can linger in a French press (no matter how many times you clean it) and it can cause your tea to taste like coffee. You can brew your tea in a countertop coffee maker in much the same way you brew your coffee. 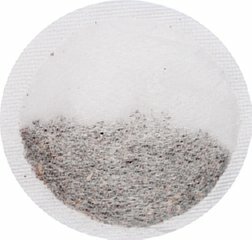 Simply add loose leaf or tea bag tea to the coffee filter instead of coffee grounds. Then add water to the reservoir, place the carafe on the warmer and wait for the tea to brew. This is a great option for brewing a large amount of tea for a crowd or if you’re planning to make iced tea. Just as with a French press, however, be aware that some coffee flavor can leach into your brewed tea if your coffee maker is mainly used to brew coffee. Tea Tip: Whichever vessel you’re using to steep your tea, remember to always cover your tea while it steeps to help keep as much heat as possible inside the steeping vessel. Straight-up brewing: Brew a cup or pot of hot tea just as you normally would, let it cool down, put it in the refrigerator to chill, and then pour it over ice when you’re ready to serve. If you pour it over ice while it’s still hot, the tea will become diluted with melted iced. Making a concentrate: In this scenario, you would make a stronger brew by using a higher ratio of tea to water than you normally would for a cup of hot tea. For example, to make a large batch of iced tea concentrate with your favorite Teatulia tea, steep 15 Teatulia pyramid tea bags in a half gallon of boiled water for the recommended amount of time. Then dilute the concentrate when you’re ready to sip by pouring it over a glass of ice if it’s still hot or topping it off with fresh, cold water and a little ice if you’ve let the concentrate chill. Preparing a sweet tea: For sweet mid-summer treat, prepare a cup or pot of hot tea as you normally would. While the water is boiling and the tea is steeping, bring to boil one cup of water and ¾ cup sugar in a small saucepan, stirring until the sugar is dissolved. Remove the sugar water from the heat and add some of it to your brewed hot tea to taste. Allow the tea to cool and then pour it over ice and garnish with slices and lemon or sprigs of mint. Milk? Sugar? Lemon? Believe it or not, tea was never originally meant to be served with any of these popular additives. Taking tea with milk and sugar was something the English popularized and the Americans latched on to throughout the 1700s as sugar imports from the Caribbean isles boomed. By 1800, it’s said that the English were annually consuming 2½ pounds of tea and 17 pounds of sugar per capita. Lemon was another popular addition to the typical English afternoon tea tradition. A guest would be offered the choice of either milk or lemon slices with their cup of tea. (Tip: You never want to do both or the acid in the lemon may cause the milk to curdle.) There are suggestions that adding lemon and sugar to tea was also a popular at various points in history in India and some Arab and African countries as well as in Russia. And the original Southern American sweet tea recipes from the late 1800s called for lots of sugar, a good helping of ice and a healthy dose lemon for flavor. So why did these additives become popular? One reason was for a social display of wealth. At one time, having tea, sugar, milk or ice to offer guests symbolized a display of your wealth and status, since most of these items were considered a luxury that not everyone could afford. There was also at one time only so much access to imported tea and not all of it was of the highest quality. So these additives would have also helped flavor a lower quality tea so that it tasted better and would be more drinkable. 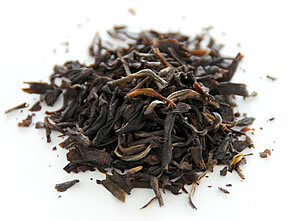 Today tea is more widely available and appreciated for its seemingly infinite variety of tea types and taste profiles. Like a fine wine, a tea that is sipped straight and pure, with no additives like milk or sugar, can be better appreciated for its different delicate and subtle flavors of the true tea. Learn about loose leaf tea vs. tea bag tea. Learn more about how to brew iced tea.